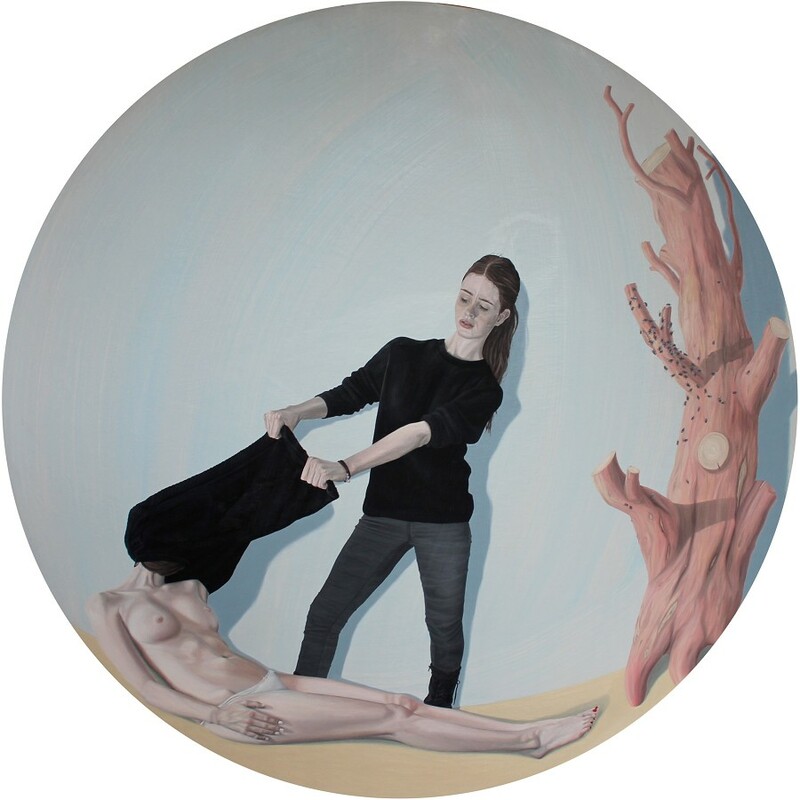 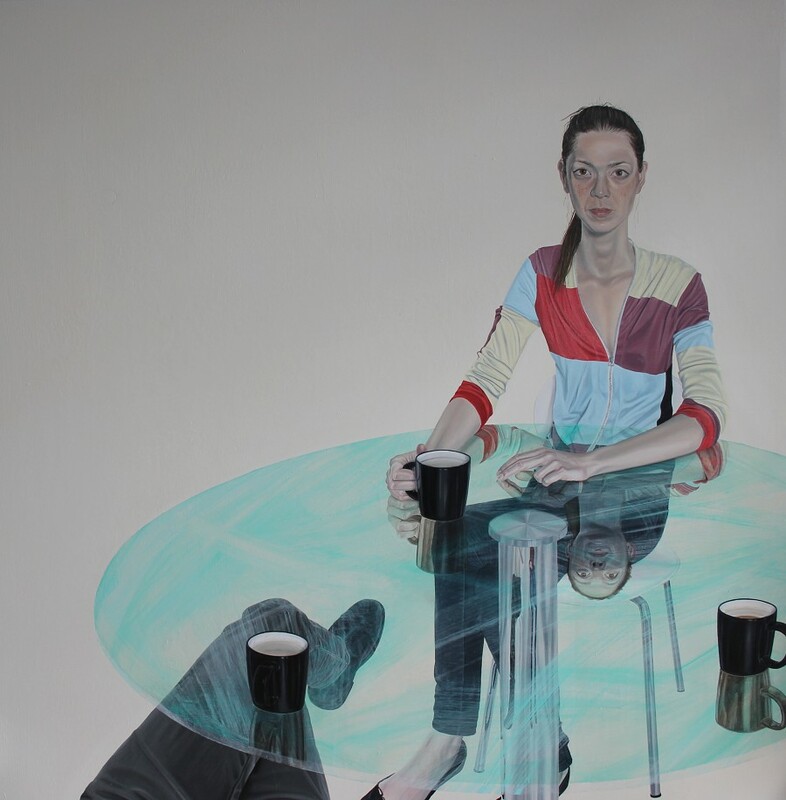 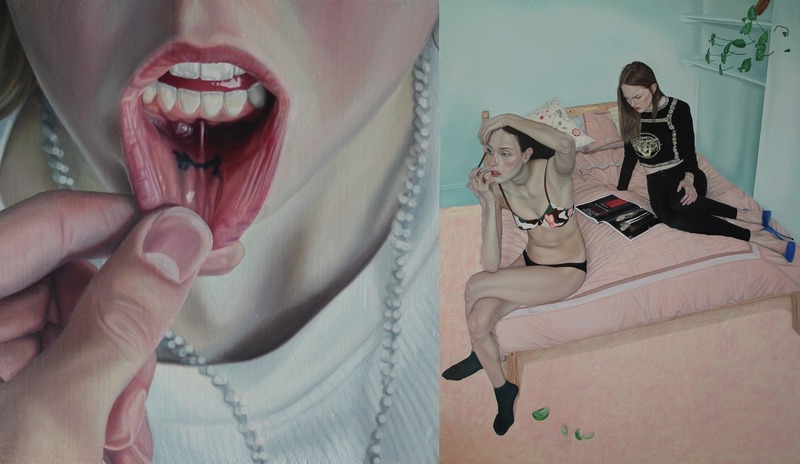 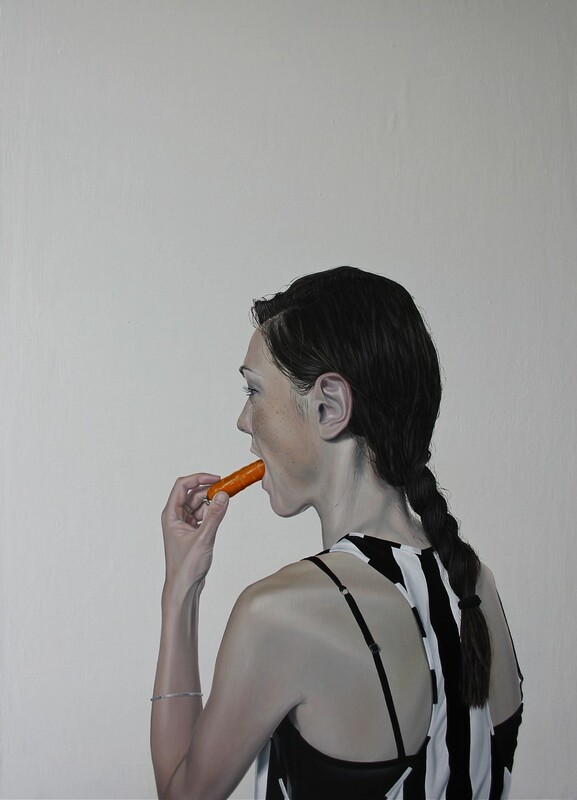 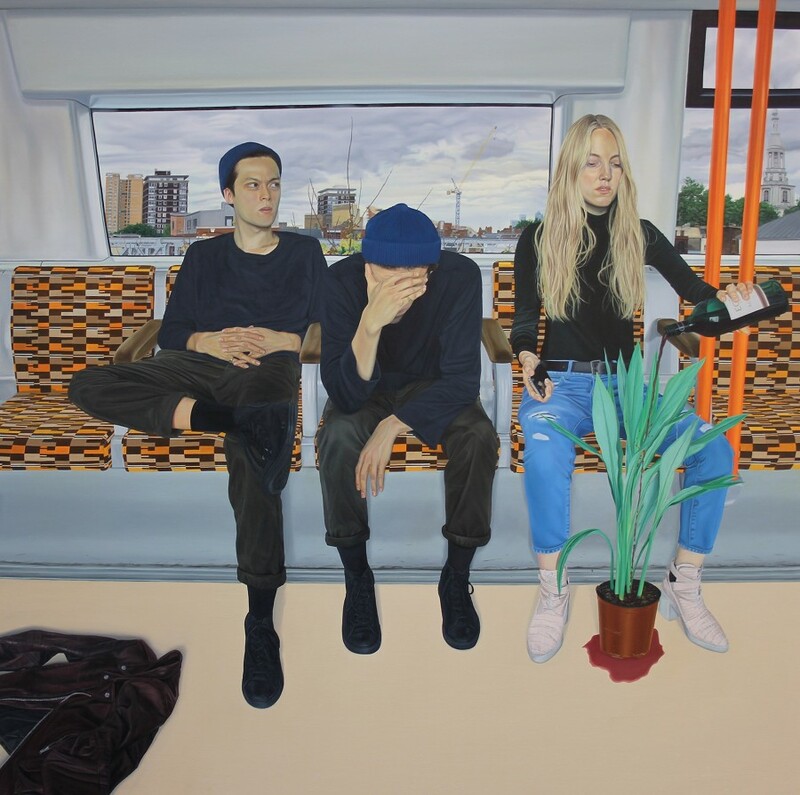 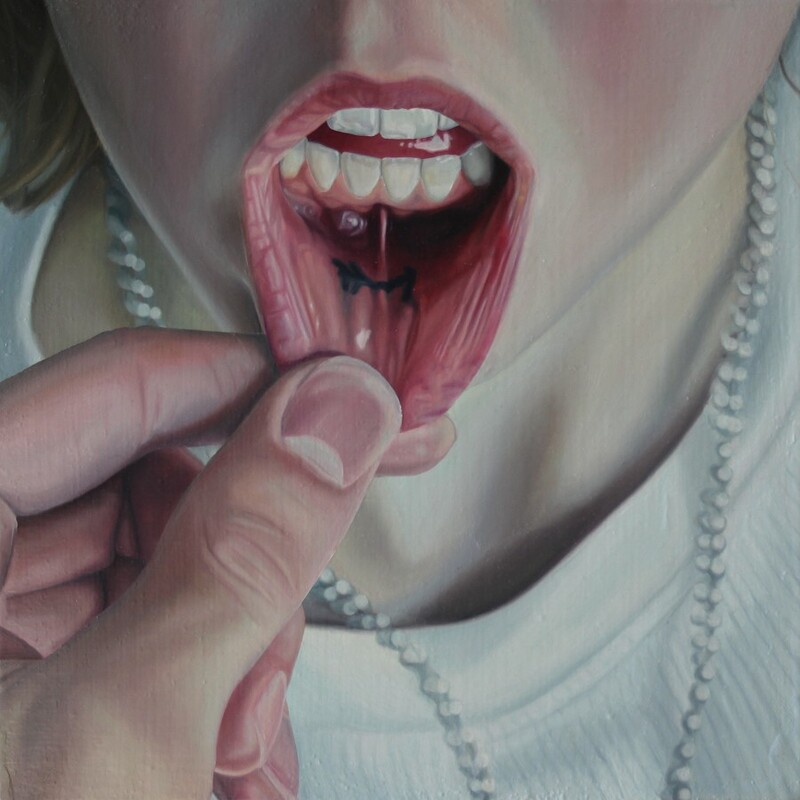 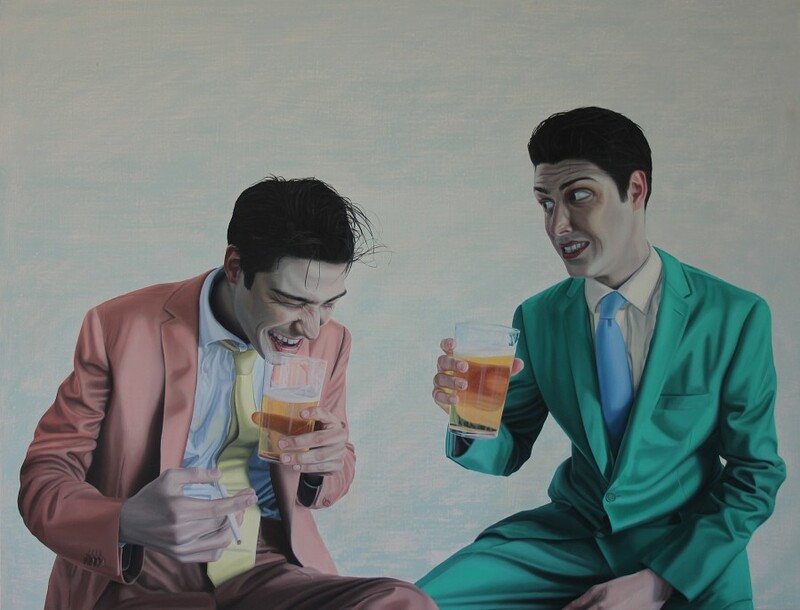 London-based artist Tristan Pigott graduated from Camberwell College of Arts in 2012 and has since exhibited his work in multiple galleries in London. 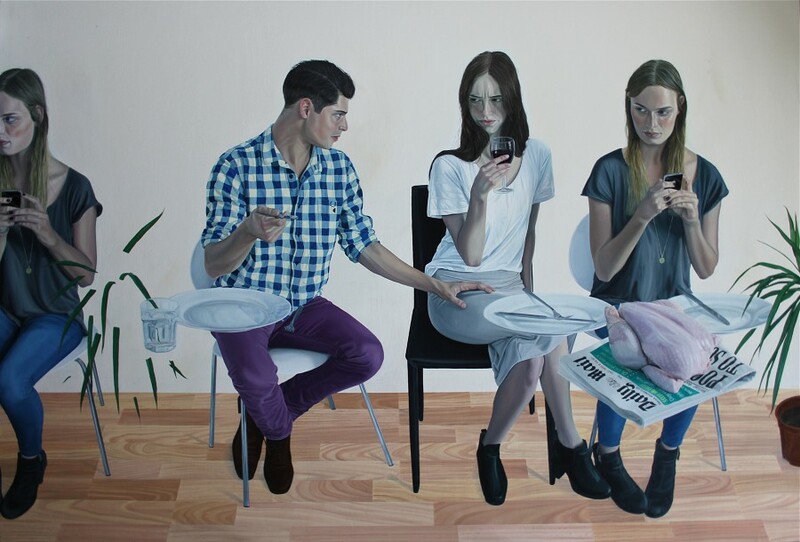 Pigott’s oil paintings have a snapshot-ish quality, like everyday scenes that you could find on social media – friends sitting on the subway, two guys drinking a beer, a girl putting on makeup while her friend next to her is reading a magazine. 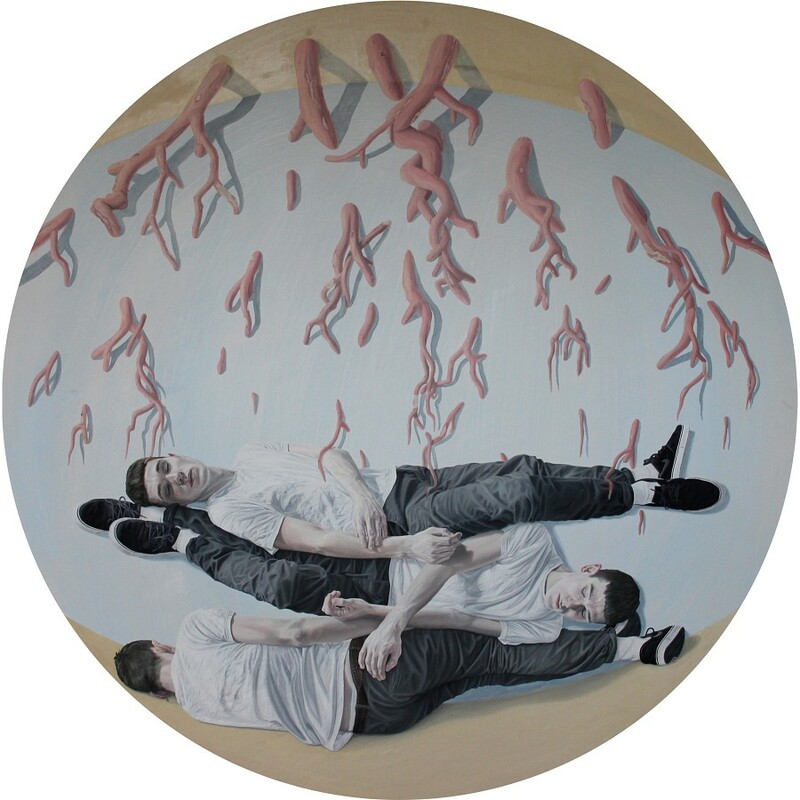 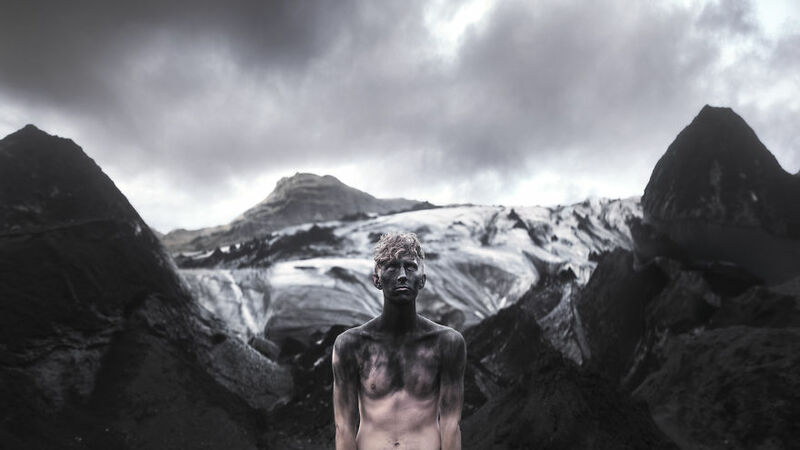 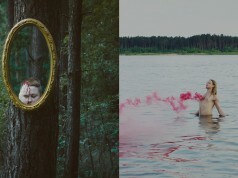 However, his scenes feel both everyday and surreal as his realistic figures often find themselves in surreal narratives with out-of-context and gravity-defying objects creating an uncomfortable world. 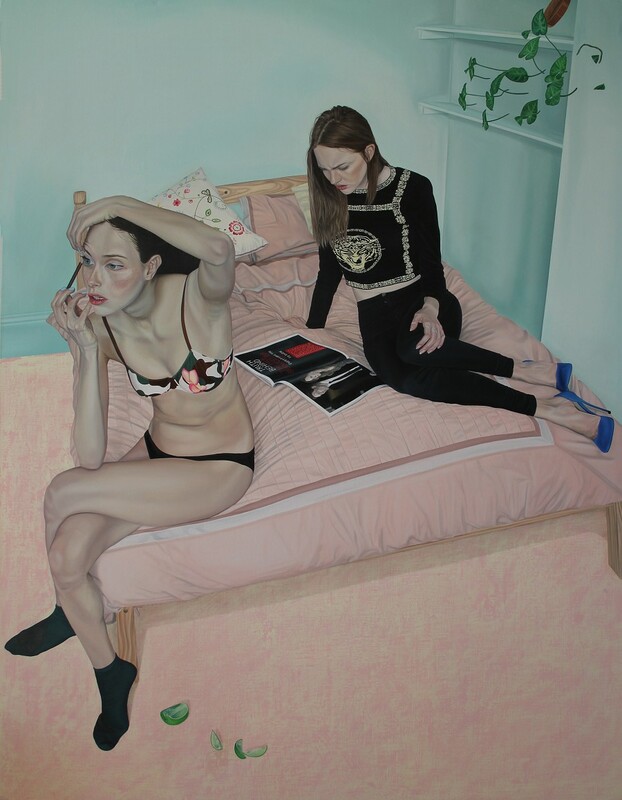 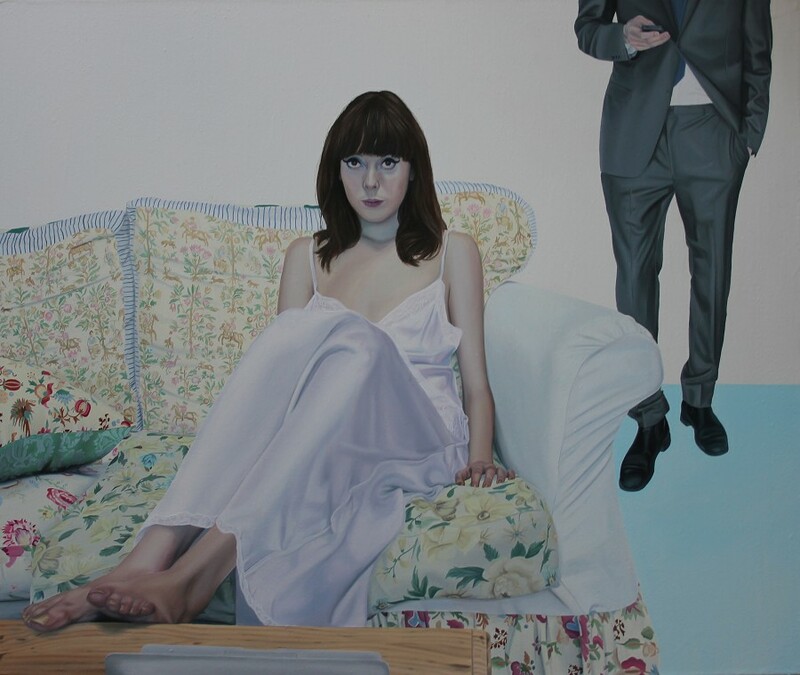 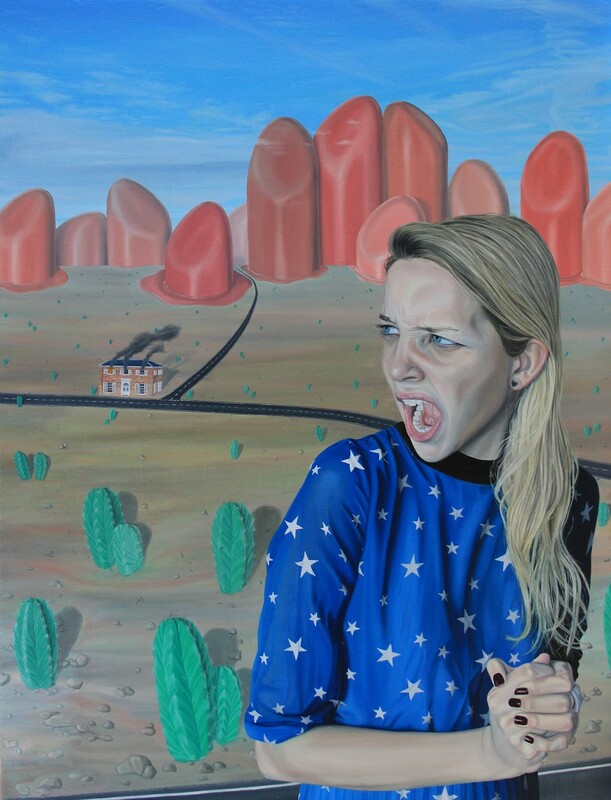 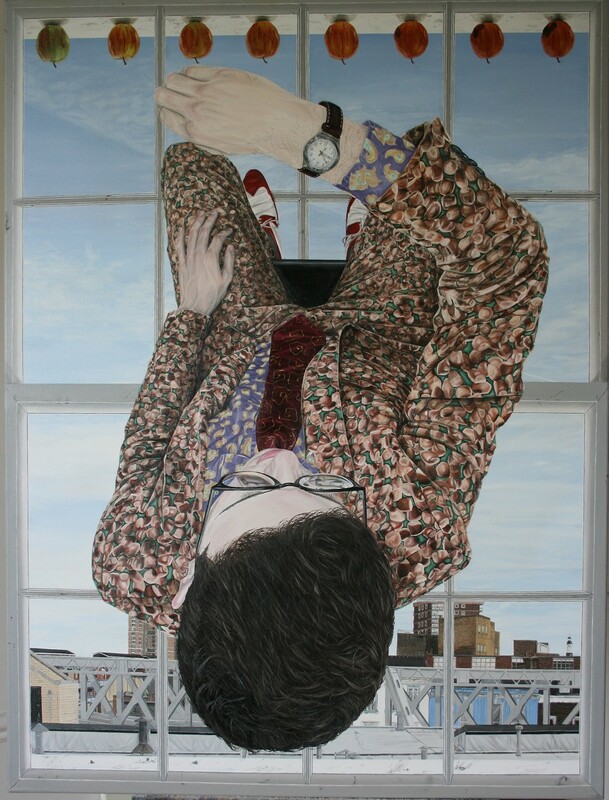 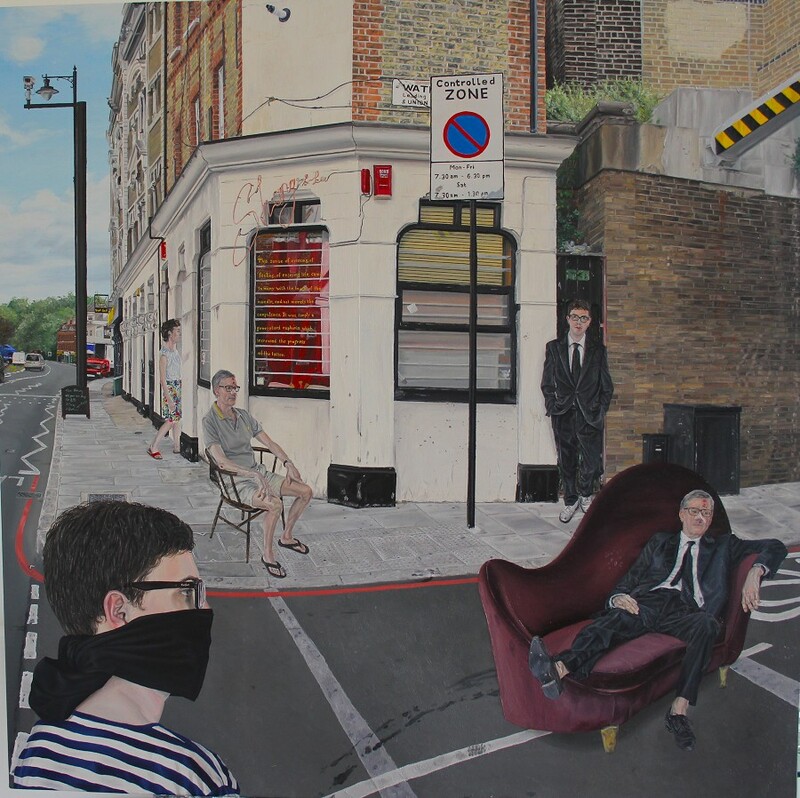 Pigott’s artworks play with the viewers’ perception and transfer them into a bizzare and somehow awkward world in which he explores human characteristics using both drama and satire – his paintings are realistic and dream-like at the same time.